Global Trade Credit Consortium – Making a difference in international trade! The Global Trade Credit Consortium (GTCC) was founded in 2014 by ERS Consulting Services to put credit and risk management at the center of global business practices. The mission of the GTCC is to help companies sell internationally by making critical trade and credit resources more accessible, responsive, and accountable. To fulfill this mission, the GTCC provides access to top international trade and credit resource providers, along with professional guidance to help navigate the complex process of exporting. The GTCC platform also hosts specialized training programs (online courses and live events) that help companies become “export ready” and ensure compliance with the full spectrum of international trade and credit practices. 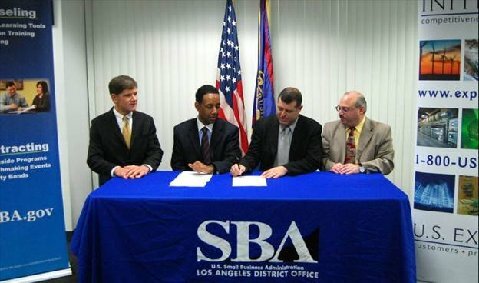 The SBA Los Angeles District Office (LADO), Credit Management Association (CMA) and Office of International Trade (OIT) signed a formal agreement that will leverage their mutually collaborative efforts in support of the local small business community, with particular emphasis on small business exporters in Los Angeles on Tuesday, Jan. 13, 2015. Pictured left to right are Martin Selander, SBA OIT, Victor Parker, LADO District Director, Michael Mitchell, (CMA) and Eddy Sumar, (CMA). Not pictured, Pellson Lau, SBA OIT. 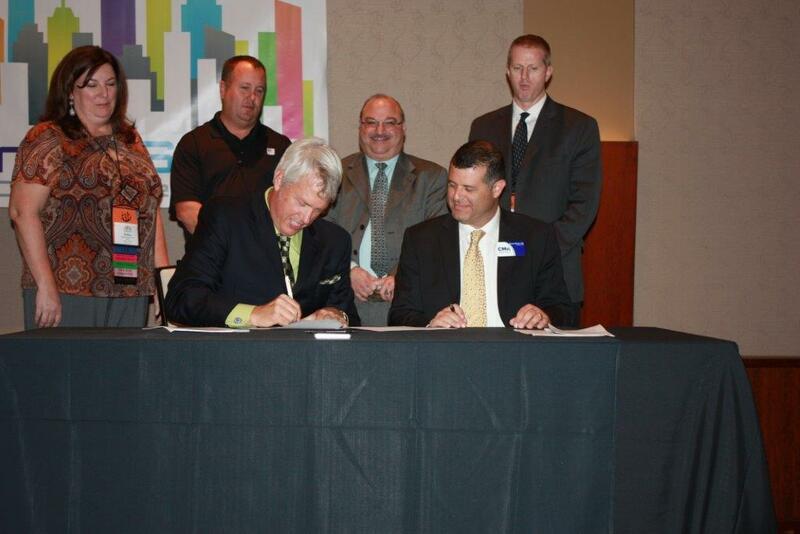 Signing Ceremony with the US Department of Commerce held during the NACM Western Region Credit Conference, Oct 16, 2014. CMA is pleased to announce that we just signed a Memorandum of Agreement with the International Trade Administration which is part of the US Department of Commerce.